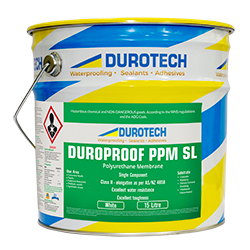 Duroprime M50 is a moisture curing, single component liquid polyurethane primer. 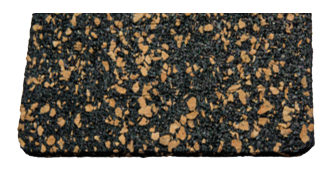 The primer provides a chemical key to the surface such that moisture curing polyurethane membranes (used in waterproofing) will adhere to. 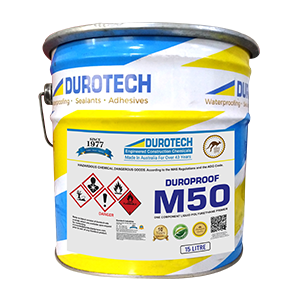 The Duroprime M50 improves the adhesion and improves the spreading and application of the moisture curing polyurethane membranes. The primer is a penetrating sealer and the polyurethane dries by the evaporation of the solvent and then cures upon contact with water vapour in the air. The liquid is coloured green/blue so you can see where you have applied it. 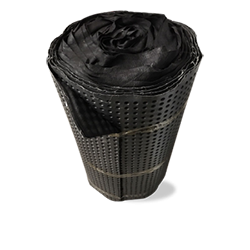 One component – single pack and easy to use.